Spending time out on the water is becoming an increasingly popular way to relax or put our problems on hold for a moment. For people who choose to enjoy their free time out on a lake or the ocean, a boat can help maximize the good times. Anyone in the business of renting boats, jet skis, or kayaks should understand the importance of Boat Rental Insurance and how to find the right one to keep your business safe from whatever might happen. There are a lot of fun activities that can be had on the water, especially when you have a boat. From racing through the waters in a speed boat to spending some much needed time sunbathing and relaxing on a yacht, boats are an incredibly popular way to make the most of your time on the water. That is why owning and operating a boat rental business can be such a lucrative venture and a chance for people to share their love of boating with others. However, there are certainly a lot of accidents and liabilities that can happen out on the water. In 2017 alone, there were over 4,200 boating accidents and roughly $46 million of property damage because of these accidents. One mishap out on the water can doom your business unless you have the right Boat Rental Insurance plan to protect you in case of the worst. Not everyone who rents a boat is a world-class captain fit for the open water. Some people are unprepared for navigating through rocky water, handling unruly waves, or dealing with unexpected bad weather. Others are just plain reckless out there. 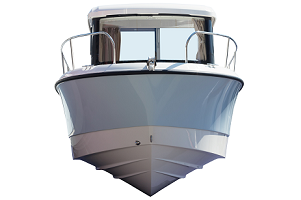 Whatever the case may be, it is the boat renter who is responsible for handling any damages accrued or claims made. Unless they have Boat Rental Insurance in place, they run the risk of taking serious financial losses. It also takes the right insurance provider to have your back and provide you with the best plan possible for you and your business. Many insurance carriers seem to have your back, but will only offer you a basic coverage plan that does not protect you from all the liabilities that are out there. That is why many people are turning to XINSURANCE and their unique all-in-one coverage approach to protecting their businesses. By choosing to go with the all-in-one approach, business owners can have broader coverage, up to $10 million limits with higher limits available through reinsurance partners, a partnership approach, and direct access to underwriting, risk management, and claims management. Not only do they offer higher limits, but they also provide users with specialty liability insurance coverage that can cover more of the risks that life and the water can throw at boat renters. Visit XINSURANCE.com to find out how their all-in-one approach to coverage will keep you and your property safe from any accidents, even if you have been denied or canceled coverage. Get a quote on their website and find the customized coverage that is perfect for you and your needs.